A person who takes fame and wealth lightly has inner peace, whereas a person who withholds himself from fame and wealth reluctantly only feels pain and worry. It also emphasises that while still young, one should not drink alcohol, as being drunk is a most ugly sight. Eating and drinking in moderation is a good habit to develop from young, as maintaining a simple diet provides the long-term benefits of a healthy life. This is best exemplified by the two ancient Chinese wise men, Su Shi and Ji Kang, who followed simple and healthy dietary habits to positive effect. Su Shi (苏轼), also known as Su Dongpo, was one of the greatest gastronomes in the history of Chinese food culture. He made many contributions to the development of Chinese cuisine, wine and tea. Besides his profound understanding of cuisine, Su Shi’s philosophy of eating in moderation is also a good practice for us to learn from. One time, Su Shi was demoted and sent away from his hometown. As he was leaving his hometown, he met his brother Su Zhe. The two brothers bought some simple soup and rice at a food stall by the roadside, to share a final meal. But the food tasted terrible. Further saddened by the fact that he would soon have to bid goodbye to his brother, Su Zhe stared gloomily at his food and put down his chopsticks with a huge sigh. Meanwhile, Su Shi had already finished all of his portion of the food. 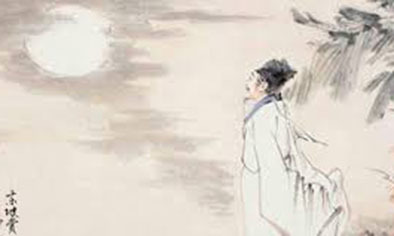 Su Shi said lightly to Su Zhe, ‘Brother, we are already in times of misfortune. Just make do with the food. It isn’t so terrible after all.’ Su Zhe was very ashamed after hearing this. His self-restrained, simple lifestyle and philosophical attitude enabled him to always smile through all his ups and downs in life. Ji Kang (嵇康, 224–263 AD) was a famous Chinese author and philosopher. 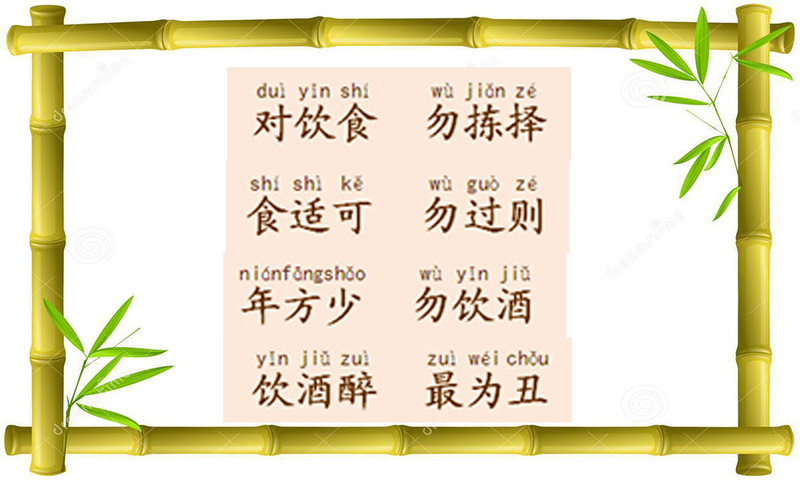 He advocated the Taoist teachings of Laozi and Zhuangzi, and believed in the ‘Tao’ of diet and preserving health. 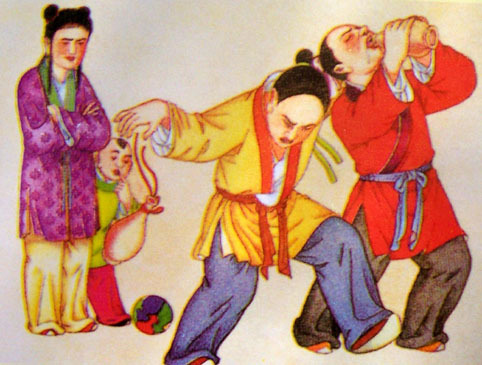 One of his best-known works is his Essay on Nourishing Life or Yang Sheng Lun (养生论), which primarily explains the way to preserve one’s health. In his work, Ji Kang provides complete theories and methods for health preservation, including methods for preserving the mind. He discusses how mental health affects physical health. He postulated that one’s body is akin to a kingdom, while one’s spirit is akin to the kingdom’s ruler. As such, preserving health requires both nourishing the body and the spirit, of which nourishing the spirit is more important. He said that one should ‘shape character to maintain the state of mind, and keep a peaceful mind to preserve the whole body’, affirming the significance of preserving mental health. Ji Kang’s suggested health preservation method involves overcoming one’s desire for wealth, fame, and rich, decadent food. This enabled one’s mind to be calm and at peace; to be full of vigour and far from sadness and worry. 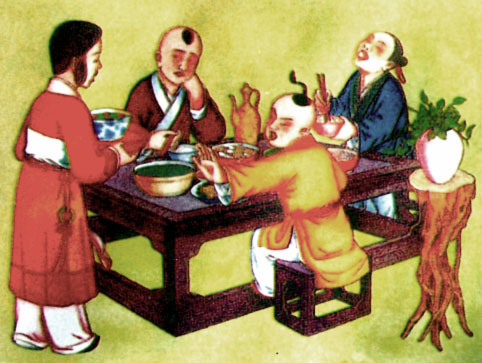 Su Shi, also known as Su DongPo, was a famous poet and gastronome of the Song dynasty, who practiced the philosophy of “eating with moderation”. Ji Kang also emphasised that one must be self-disciplined in developing good habits and staying away from evil temptations, in order to achieve good health. He pointed out that those who are good at preserving health understand one thing: that pursuing fame and wealth eventually harms the heart and body. Therefore, they learn to take fame and wealth lightly, and neither desire nor pursue it. A person who takes fame and wealth lightly has inner peace, whereas a person who withholds himself from fame and wealth reluctantly only feels worry and pain. It is obvious that the former is better for health than the latter. As for rich-tasting foods, Ji Kang proposed that people should make healthy eating a habit and a way of life, and should keep away from rich food so that they are not tempted by it. This, he said, is better than facing rich food and struggling to control their urge to eat.